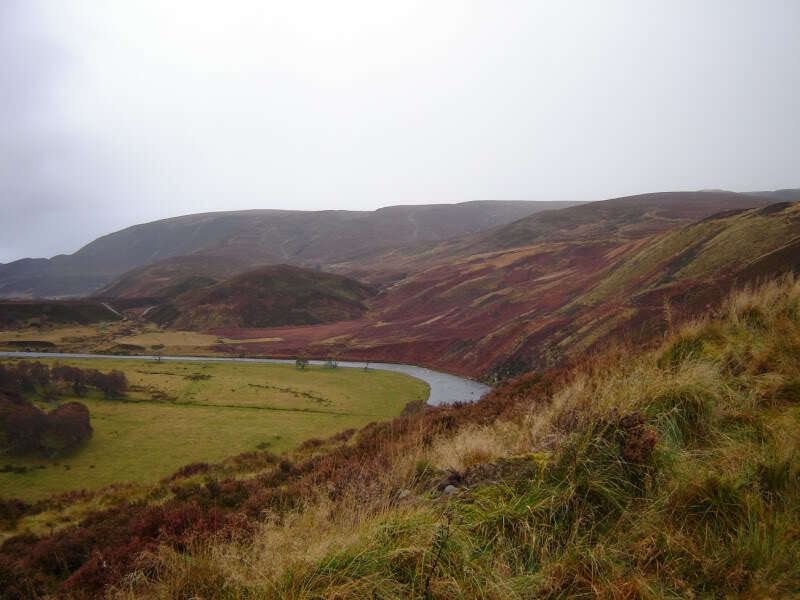 I set off this morning to ascend Carn nan Tri-tighearnan. 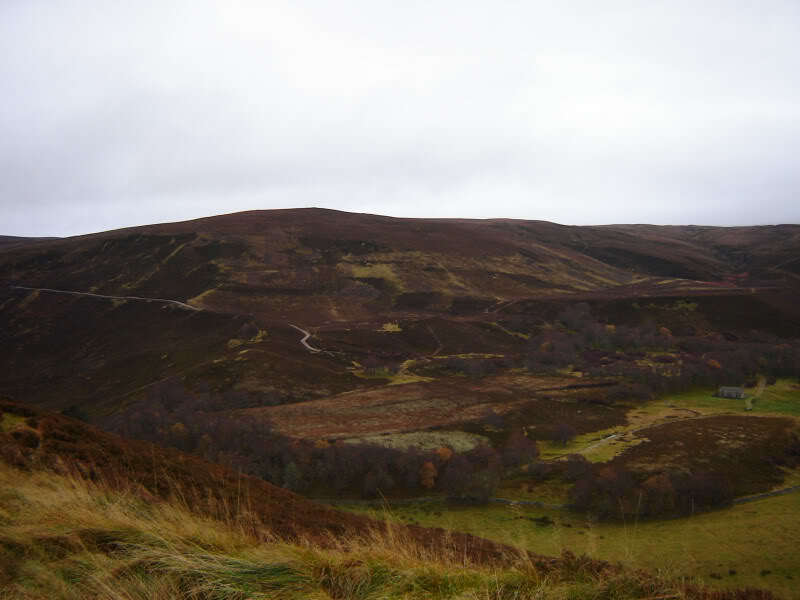 The road to the starting point at Daless is a bit narrow with a few steep drops. There is plenty of parking at the road end. 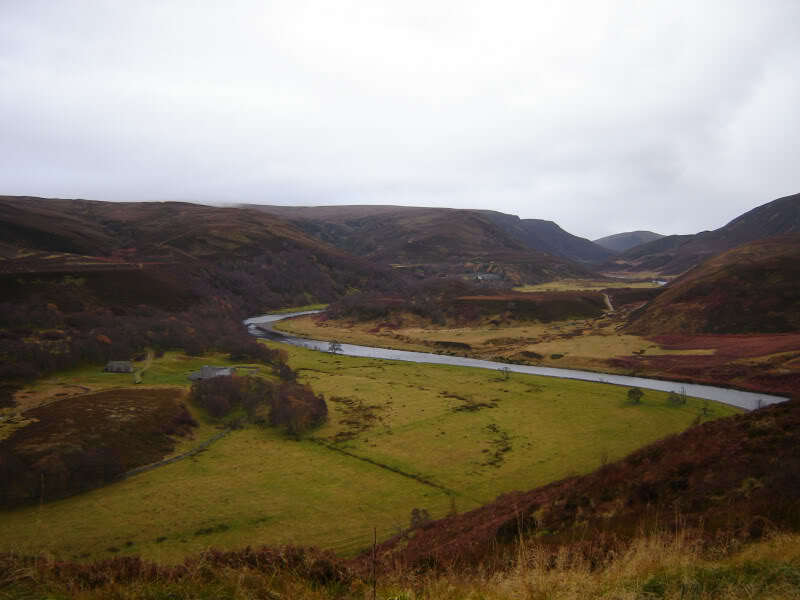 From Daless, I crossed the Allt Breac and then followed the main track towards Carn nan Tri-tighearnan. 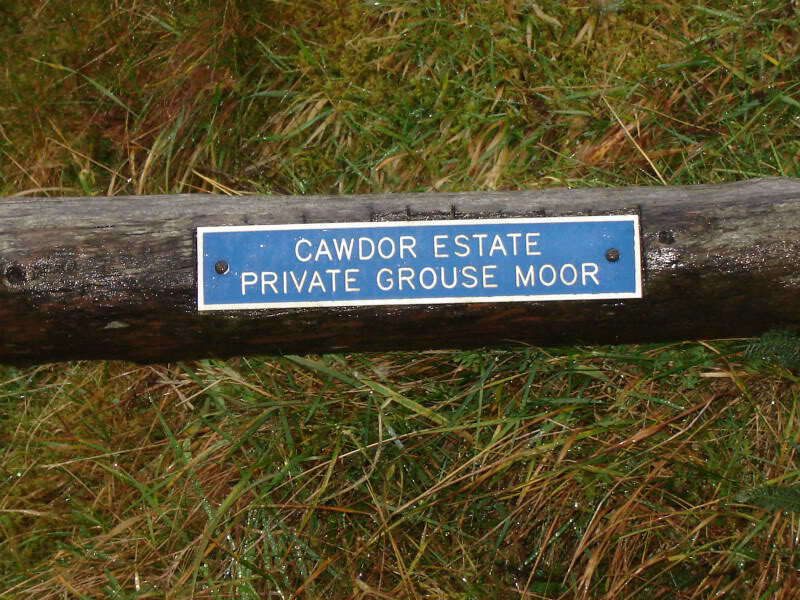 The hill is part of Cawdor Estate, apparently a Private Grouse Moor. 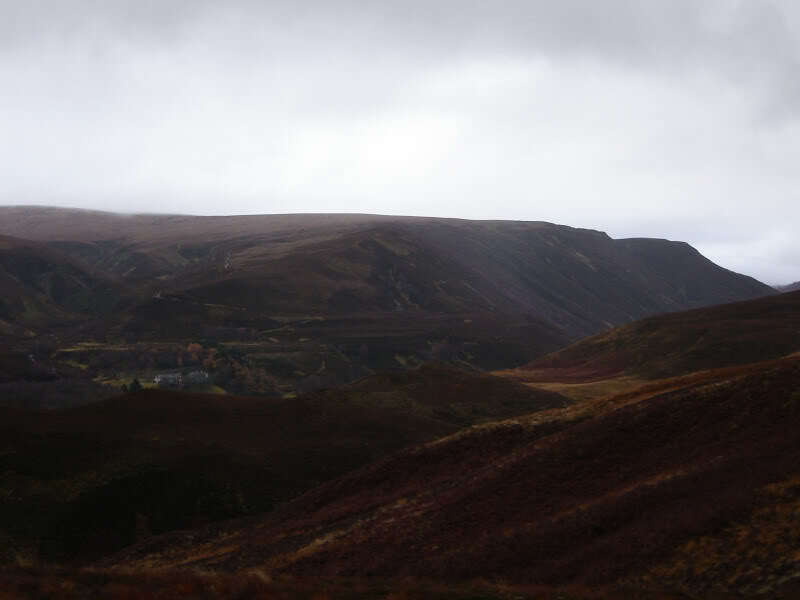 I saw dozens of grouse on the hill. 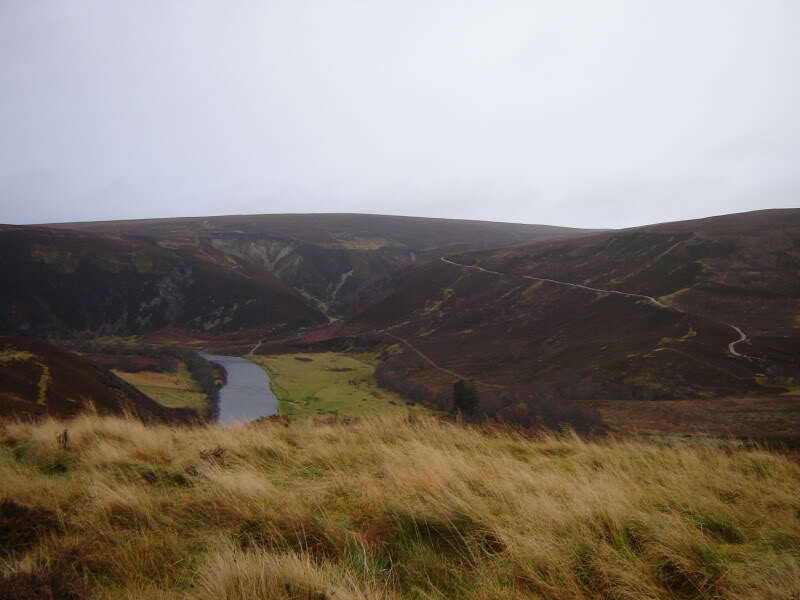 It was nice to get some views of the Findhorn and Strathdearn at the start of the walk. 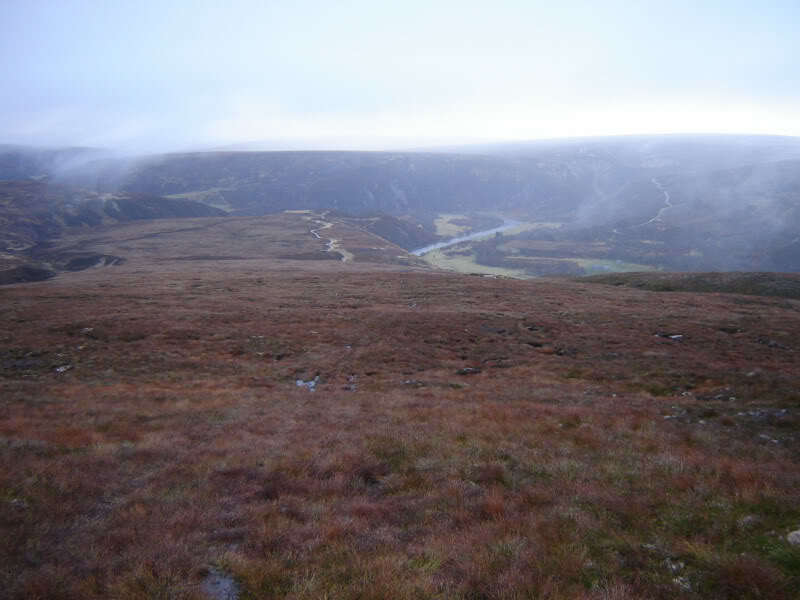 I left the main track at a height of 350m and then followed another track to the West of the Allt Breac. 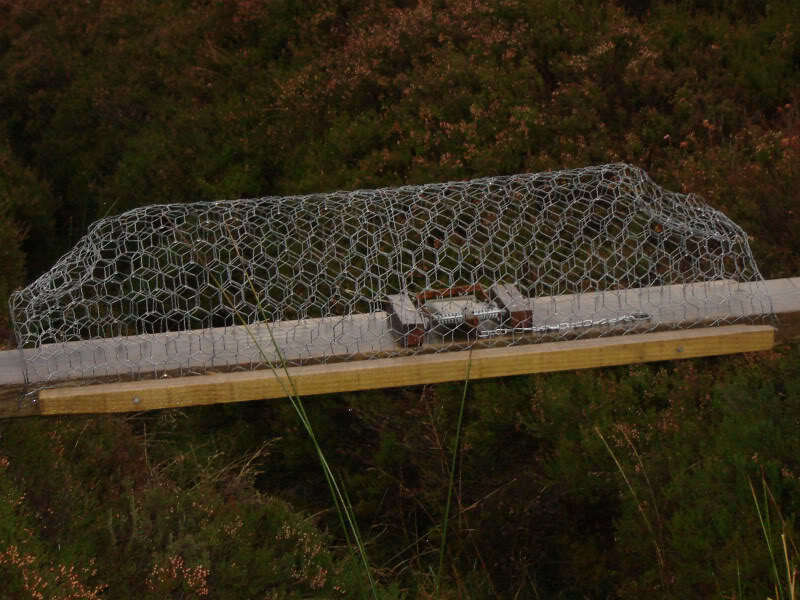 During the ascent I passed several traps. 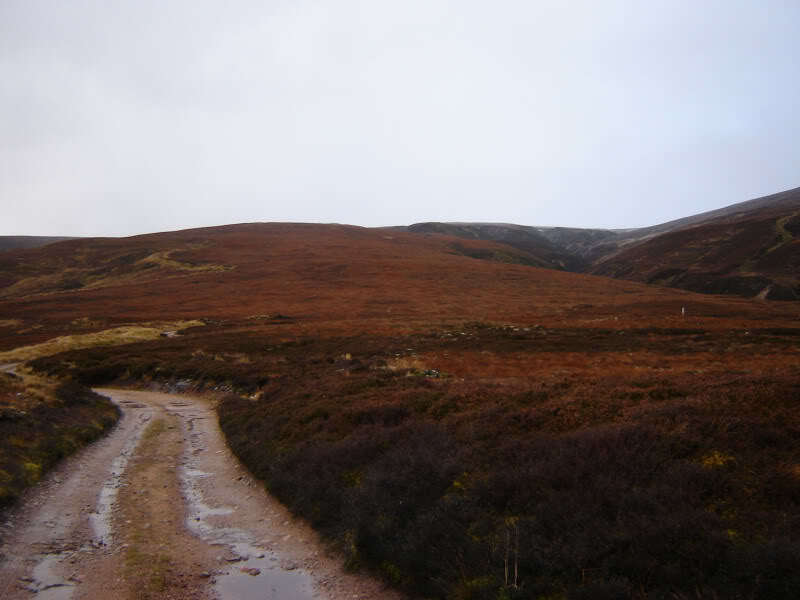 On reaching the end of the track, I continued uphill via an ATV track. 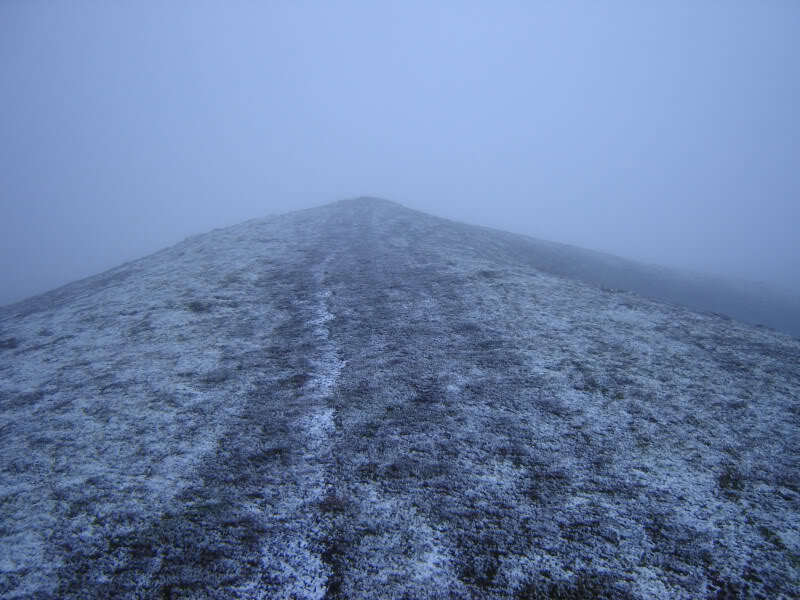 Once I ascended into the mist there were no views. 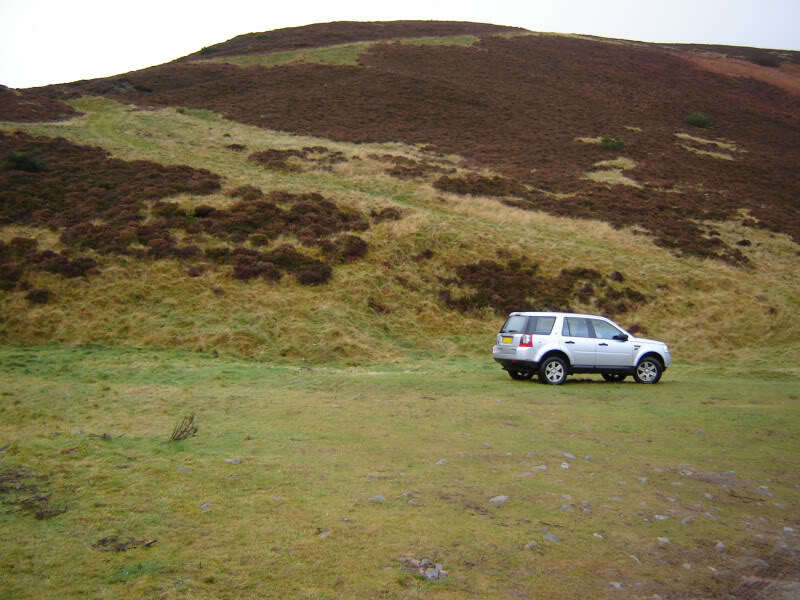 I don't think I could have found the summit today without the help of the GPS. 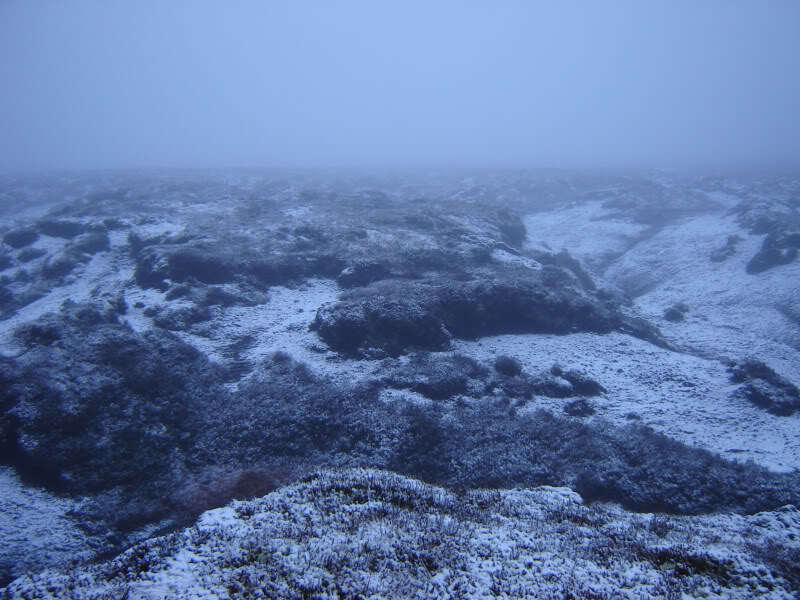 I had to cross a large expanse of peat hags – counting steps in one direction near impossible. Don't know how easy/difficult these hags are in good visibility. In poor visibility they were quite unpleasant. 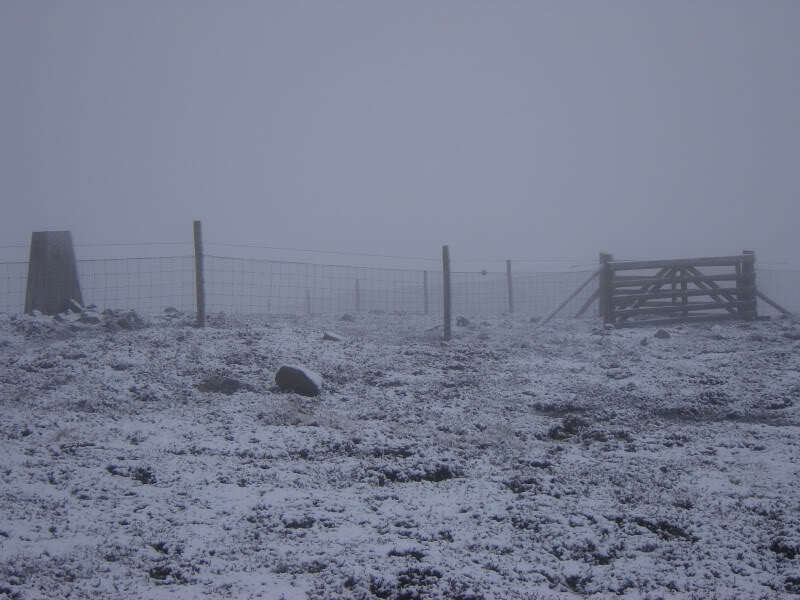 On approaching the summit, a new fence located just a few metres from the trig point blocked our way. 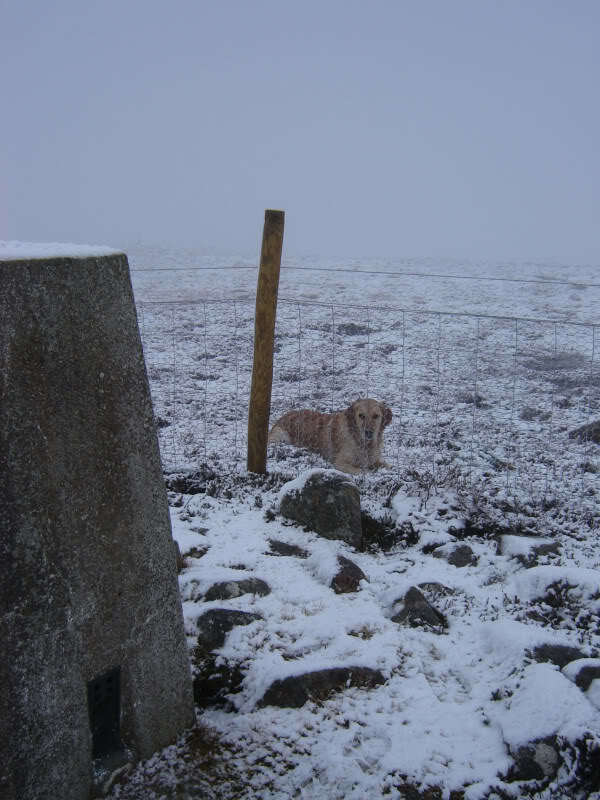 I climbed over the fence to reach the trig point but Beinn couldn't get over or under this fence. 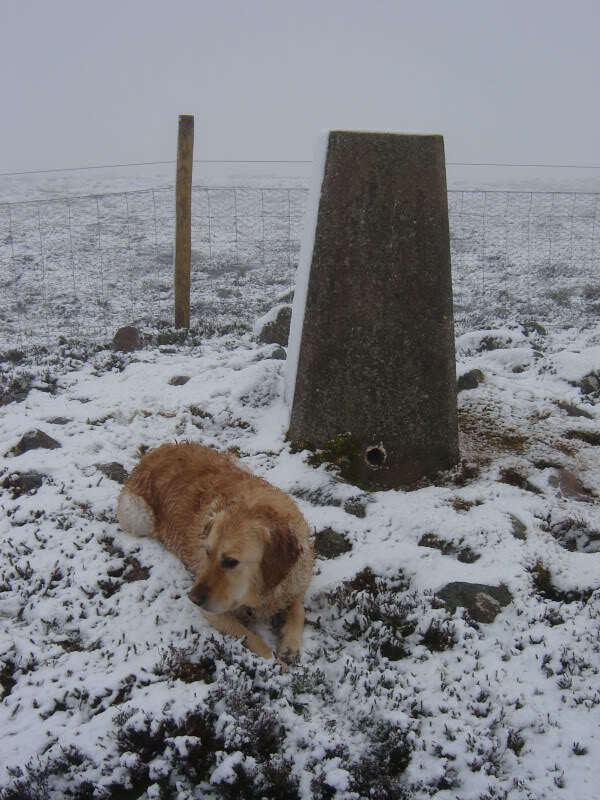 I was determined to get Beinn to the top. On having a quick look round I found two planks of wood. 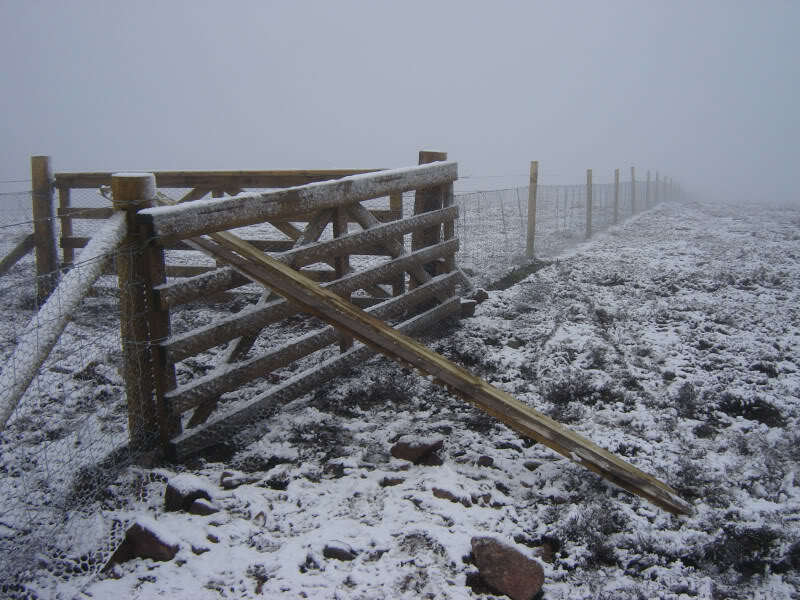 I used these to improvise a ramp for Beinn over the gate. 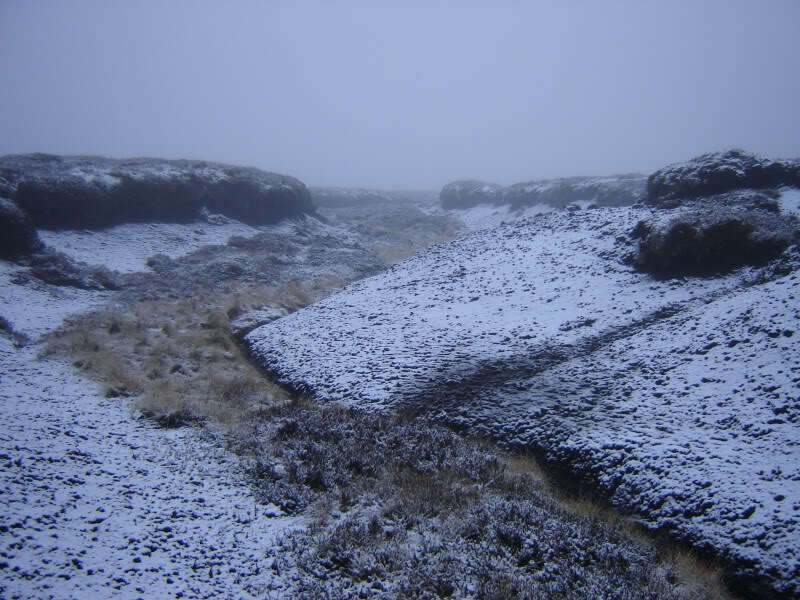 We returned across the peat hags via the same route, following our footprints in the snow for much of the way. On reaching the start of the ATV track we followed it back to the main tracks. 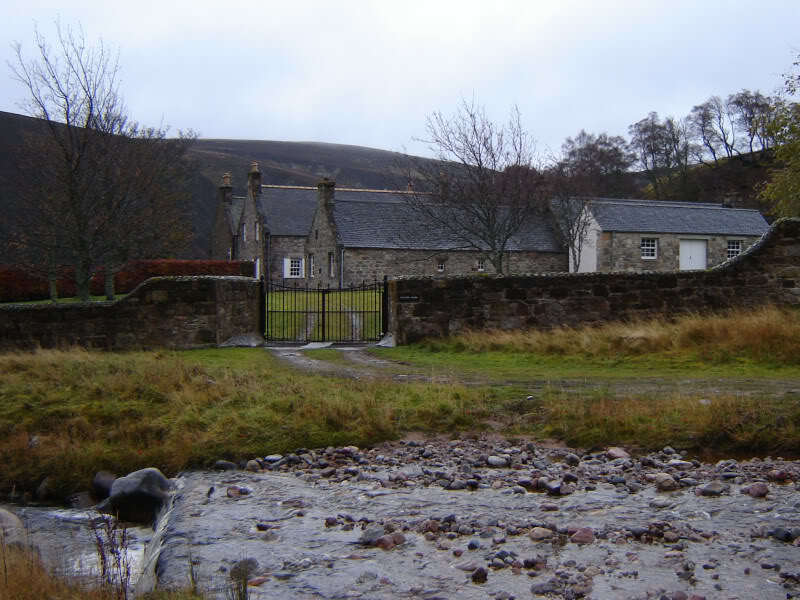 We then returned via the main tracks back to Daless. Quite a short day but I found it a bit hard on the feet – breaking in new boots!